Do you know what a quince is? Have you ever tasted one? 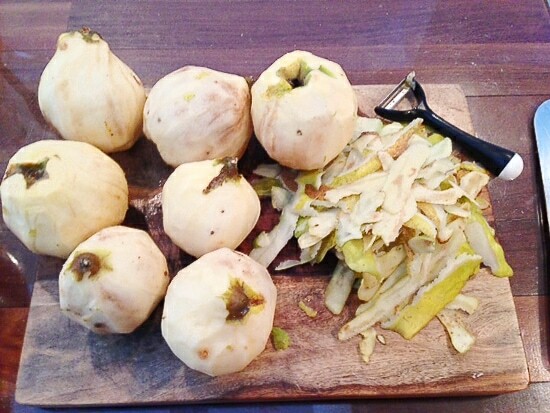 If you have, it was likely in a cooked form, quinces aren’t tasty raw. They are one of my favorite fruits. They become nice and pink when you cook them, a soothing glamorous pink. 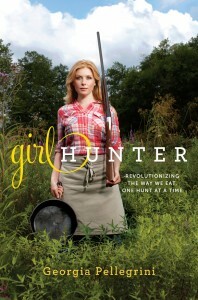 See these recipes to know what I mean. They start off green with a hint of yellow. Hard as a rock. And a strange fuzz on them. It’s the pectin that turns them pink. And lots of heat. My dad grows them at Tulipwood and every year around this time we have a nice supply of them. For a few years we had a fire blight, but it seems that we’ve finally conquered it and have a lot of fruit to show for it. 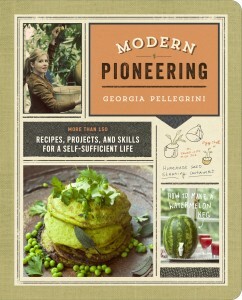 My great grandmother used to make quince jelly. My dad and I have been talking about it a lot lately because hers was very light pink and ours always comes out dark pink, almost maroon. 1. 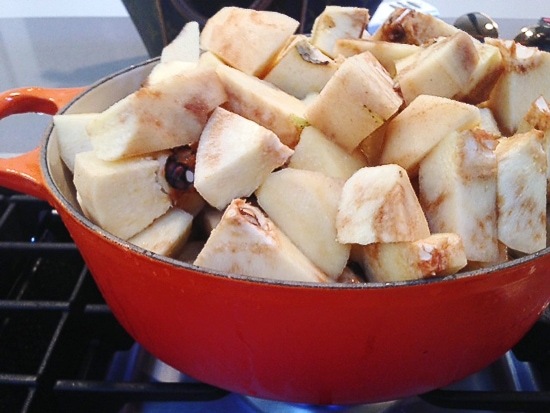 Don’t cook the fruit for longer than 1 1/2 hours, or else you’ll destroy the pectin. You just want to cook it until soft. 2. 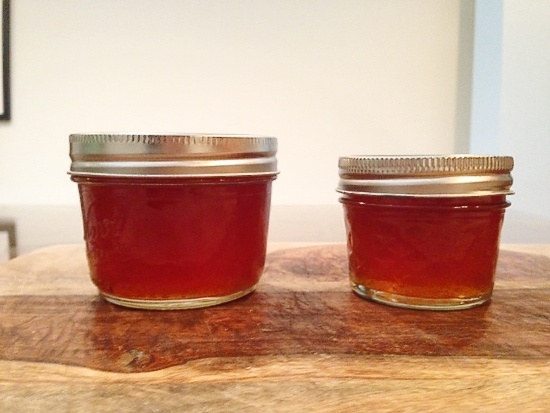 If you want to get away with adding less sugar, then you’ll have to add pectin. That’s the only way it will gel otherwise. We’re pretty sure that’s what my great grandmother did because she didn’t like sugar much. Otherwise the ratio of sugar to liquid will have to stay the same. 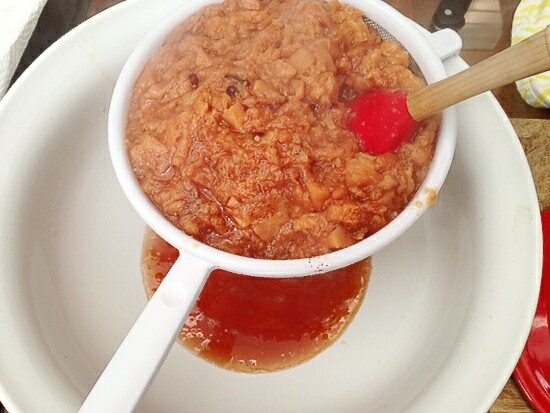 To make quince jelly you cut it into chunks and drop it in a pot. You don’t have to peel it or take the core out, but I happened to peel it this time as an experiment. Peels will help create more pectin. 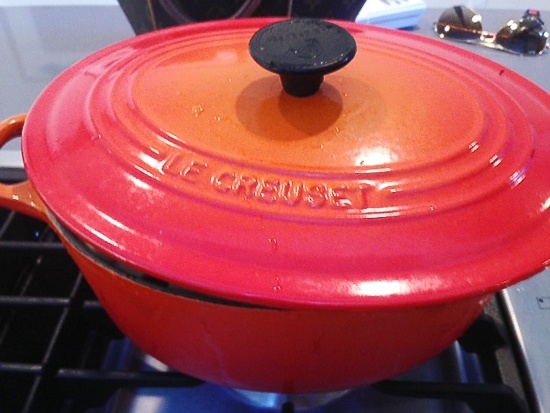 Cover the pot and let it cook and stew down. It will turn to mush like this, at which point you’ll pass it through a fine mesh strainer into a bowl. 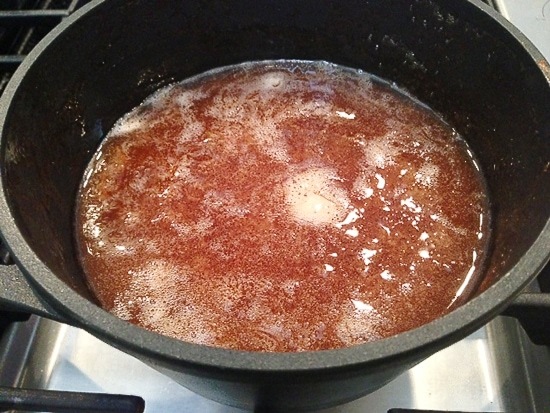 Then you’ll transfer that liquid to a smaller pot and let it simmer. Some foam will come to the surface, which is any impurities. You’ll want to skim that off until it’s nice and clear. And once you get the temperature to 220 degrees F at sea level, you’ll turn off the heat. Transfer the liquid to sterilized glass jars (you can sterilize them by running them through a dishwasher or boiling them in a hot water bath). Then screw on the lids and let them come to room temperature. The liquid will set over the next 24 hours. Mine isn’t as light as my great grandmothers because I didn’t use pectin, which means I had to get it hotter which made it pinker. But it isn’t as dark as some of the batches we’ve done in previous years which were too runny… as Goldilocks would say, it’s juuuuuust right. 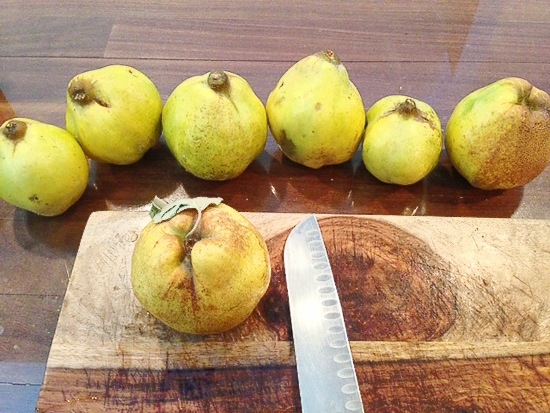 Here’s the recipe for when you get your hands on some quinces! A lot of grocery stores have them right now and they’re delicious in holiday desserts. Quarter your quinces, removing any wormy looking bits. You can leave the peel and core in tact. Place them in a large pot and add water just to cover. Bring to a simmer and cook until soft, about 1 hour. 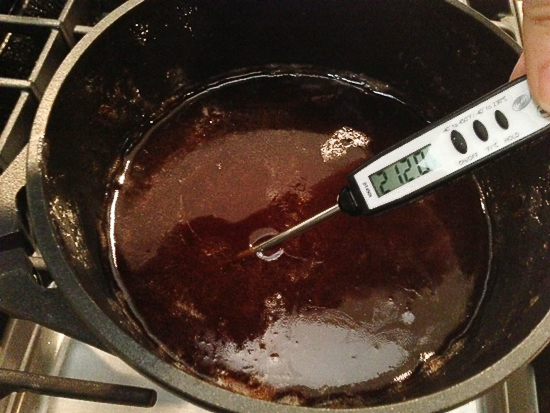 Be sure not to cook more than 1 1/2 hours, or you will destroy the pectin and it won't gel. Pour the fruit and juice through a fine mesh strainer into a bowl. Set the fruit pulp aside.You can run it through a food mill if you'd like and make quince paste, quince butter, or serve it on toast. Pass the liquid through the fine mesh strainer again, lined with cheesecloth, into a bowl. 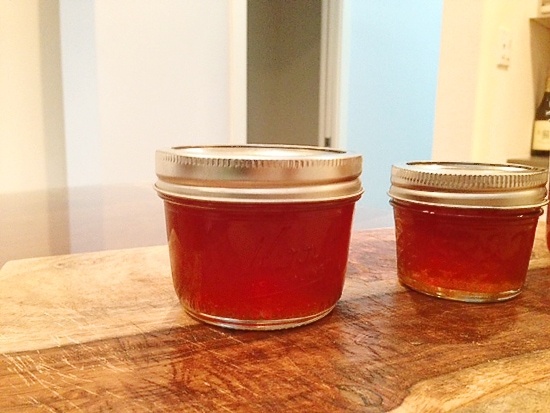 If you prefer to use less sugar, then you will need to use pectin according to package instructions. 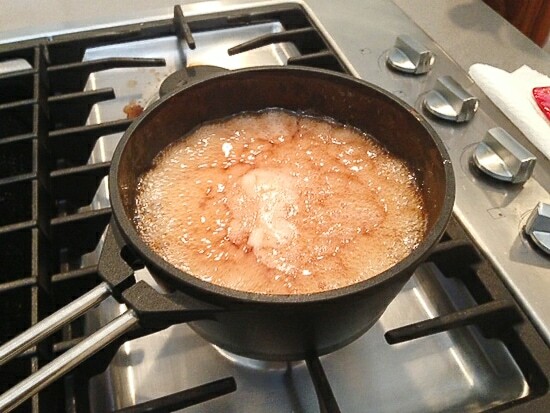 Cook the liquid rapidly at high heat skimming off scum until it reaches 220 degrees F at sea level. Don't go over 220 or it gets clumpy. Also be sure not leave it unattended because it will rapidly boil over. 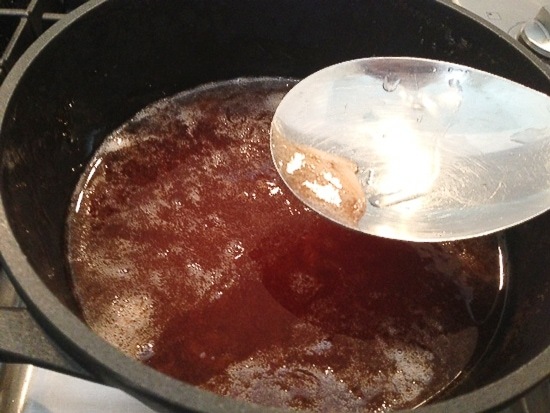 Transfer it to sterilized jars and in a hot water bath for 10 minutes. 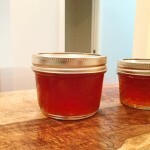 Love quince jelly! Actually love the way quinces smell just sitting on the dining table. I made several batches this season- some set up really well and others I had to rebatch because they didn’t set up. I think the earlier quinces had more pectin. Lovely photos. Yum. 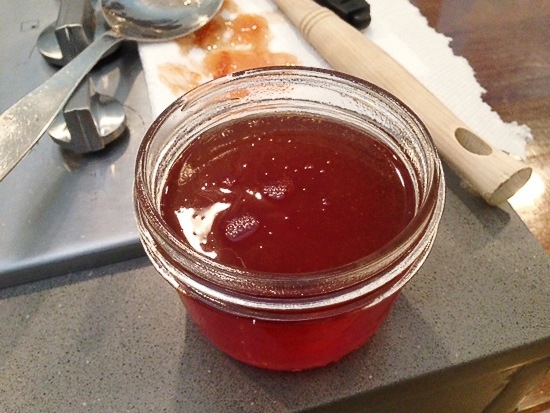 Sometimes if we cook the jelly for too long it destroys the pectin and so we just use it as a syrup, also very nice. 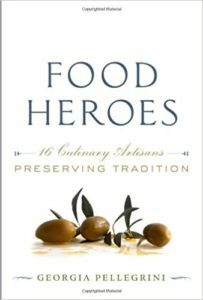 Where in Austin can I buy quince? I’ve seen them in Central Market and Whole Foods in the fall! What is quicy. Oder name?